Pick your favorite Crayola colors and stitch a whole box of giant plush crayons or pick your child's favorite color! Great gift and cute kids room décor. Made from fleece and felt fabric. 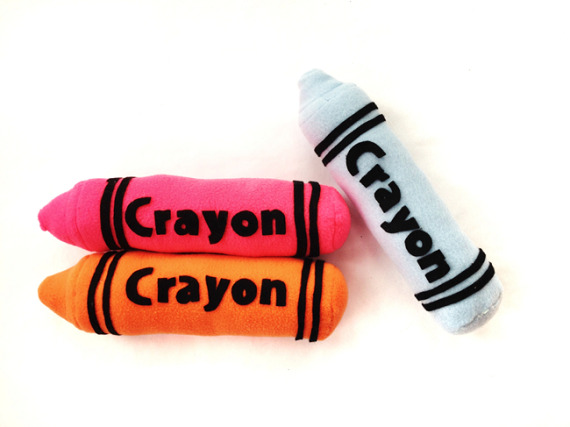 This pattern will show you how to create your own plush crayon. Includes photos with the instructions to help you create your new plush toy. Pattern includes a crayon coloring page and maze pages.